Today at the Microsoft Build Conference, Microsoft announced the Azure Cloud Shell. The Azure Cloud Shell is a browser-based shell experience to manage and develop Azure resources. 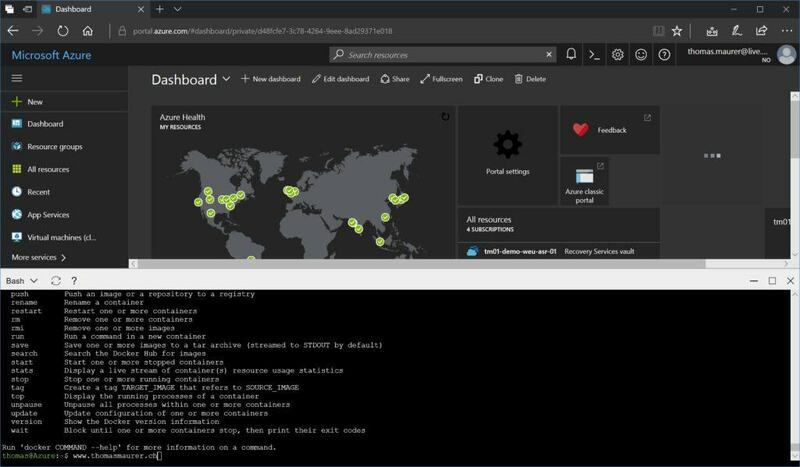 Azure Cloud Shell offers a browser-accessible, pre-configured shell experience for managing Azure resources without the overhead of installing, versioning, and maintaining a machine yourself. Today it gives you a variety of different tools directly from your web browser in the Azure Portal. This gives Azure Administrators an easy admin environment to manage resources as well as third-party applications. In the background Microsoft runs thousands of isolated containers, ready for you to use. Microsoft takes care of keeping this container up to date, so you can focus on your administrator tasks. The usage is free, the only thing you will need to pay, are the storage cost for your container and the things you store on the Azure File Share.